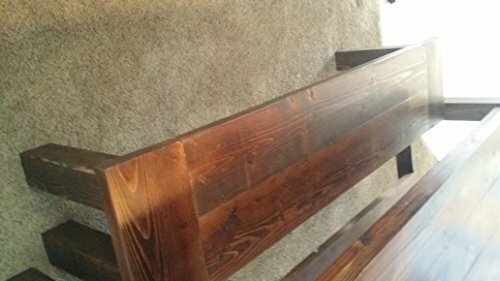 Simple Farmhouse style bench. Better pictures coming soon. PLEASE NOTE! I have changed the style of the top to a 3/4 in thick top instead of a 1 1/2 in thick table top due to design issues. Designed to go with Farmhouse table. Nests inside of legs of Farmhouse table. Each piece is unique in color and shape so your order would be unique to you and all items are made after your order. Please note shipping can be very expensive. Please let me know if you want to order before placing your order and we can get a shipping estimate. If you live close to us you may come pick it up yourself or we can hand deliver it to you as well.